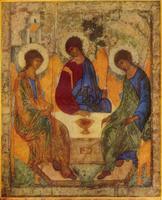 This week we look more at the theology of the icon and the spirituality of the iconographer. Learn how you can integrate icons into your own prayer life. 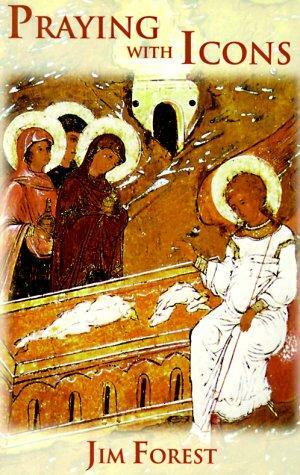 We will also be looking at St. Andrei Rublev, one of the most famous iconographers and his icon of the Holy Trinity as we take another trip to the Icon Corner. 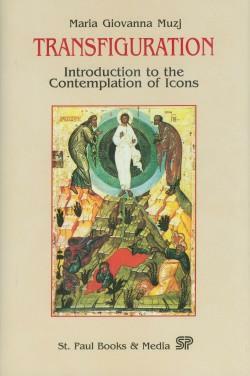 There are a couple of good sources available for those interested in icons and iconography. Jim Forest’s book “Praying with Icons” and Maria Giovanna Muzj’s “Transfiguration” each offers some good advice on adding icons to your spiritual life. 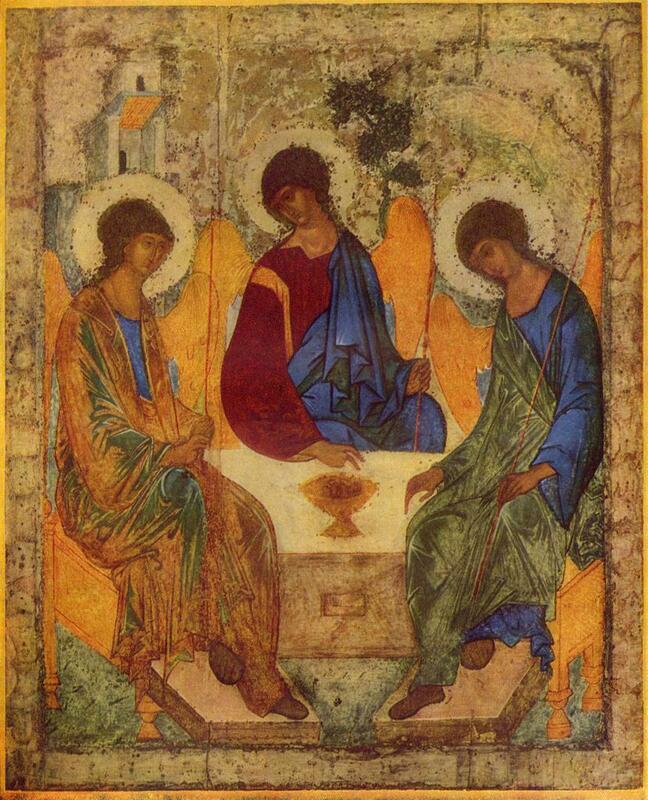 On the Internet, you can find a good basic articles on icons and St. Andrei Rublev on Wikipedia. There is a good list of icon sites on the web at Icons and Iconography. Our musical interlude is a Russian hymn – “O Gladsome Light” sung by the Monks and Metropolitan Choirs of the Kiev-Pechersk Lavra from the CD Russian Orthodox Chants available from magnatune.com. Again, thanks to all my listeners and those who have voted for the podcast on Podcast Alley. If you haven’t voted and you like the podcast, just click on the “Podcast Alley” button in the links section of the website. Feel free to leave any comments or feedback as well via e-mail at seraphimtor@hotmail.com or you can Skype Me as well. Just click on the button below to download the podcast or subscribe to the podcast via iPodder or one of the feed aggregators/podcast software links on the website. This entry was written by sbeshonertor, posted on October 22, 2005 at 2:34 am, filed under Podcast. Bookmark the permalink. Follow any comments here with the RSS feed for this post. Post a comment or leave a trackback: Trackback URL.